TuneFab M4V Converter 1.0.3 был доступен бесплатно 27 октября 2017 г.
TuneFab M4V Converter - первое рекомендуемое решение для преобразования защищённых iTunes видео (фильмы iTunes, ТВ шоу, музыкальные видео и т.д.) в обычные файлы формата MP4. Позволяет просматривать файлы формата iTunes M4V на различных устройствах, помимо поддерживаемых Apple iPhone/iPad/iPod touch. Также позволяет разблокировать 48-часовое ограничение на просмотр взятых в прокат iTunes видео, что позволяет просматривать их в любое удобное время. Универсальный конвертер аудиофайлов iTunes - TuneFab Apple Music Converter позволяет с лёгкостью преобразовать защищённые DRM песни Apple Music, аудиозаписи формата iTunes M4P,аудиокниги форматов iTunes M4B и Audible AA/AAX в обычные аудио файлы. Поддерживает такие форматы как MP3, AC3, AIFF, FLAC и т.д. С помощью данной программы можно воспроизводить защищённые DRM песни Apple Music на любом устройстве. Apple Music Converter (Mac) предоставляет пользователям MAC быстрое и простое решение для конвертации файлов Apple Music в форматы MP3, AC3, FLAC, AIFF и т.д. После удаления защиты будет очень просто воспроизводить файлы Apple Music на устройствах iPod shuffle/nano/classic, PS4, Xbox и т.д. 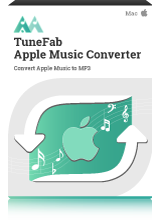 TuneFab M4V Converter - первое рекомендуемое решение для преобразования защищённых iTunes видео (фильмы iTunes, ТВ шоу, музыкальные видео и т.д.) в обычные файлы формата MP4. Также позволяет разблокировать 48-часовое ограничение на просмотр взятых в прокат iTunes видео, что позволяет просматривать их в любое удобное время. 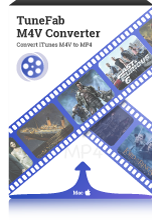 TuneFab M4V Converter (Mac) позволяет конвертировать приобретённые или взятые напрокат iTunes видео формата M4V в формат MP4 для воспроизведения на других устройствах, не произведённых Apple (к примеру Samsung Galaxy S8, PS4, Xbox One и т.д.) Предоставляет большую свободу просмотра, снимая 48-часовое ограничение на просмотр. more information for other downloaders. If you are going to thumbs down a giveaway, please leave an explanation why. It makes it a lot more information for other downloaders. Thank you. I don not have iTunes installed and also not a single movie. Fairplay, says Apple, is a form of copy protection intended to ensure that 'fair usage' isn't breached by illegal file sharers. 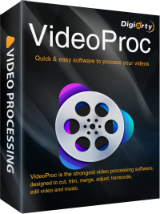 Although not yet tested by UK courts -- US courts may be different -- 'fair usage' would seem to extend to a purchaser the right to make a back-up copy of the commercial video which she / he has purchased for her / his own use. hence why I don't entirely understand the reference in today's giveaway text to TuneFab's product being "the first recommended solution". Like today's developer, both the above make mention of the fact that their software can effectively transform a time-limited iTunes Store rental into a permanently owned acquisition. I've no time for Apple, not least because its locked OS, clunky iTunes, and DRM-protected M4V has long been an obstacle course I can easily live without especially when there are so many, many alternatives to buying or renting anything at all from the iTunes Store. I also think Apple is more than capable of taking action to defend itself against everything from petty fraud to large scale piracy. On which basis then, it seems to me that the poster at comment #1 would seem perfectly entitled to go ahead and breach every tenet of the 'fair usage' principle by utilising this software in the manner that comment so enthusiastically describes. Not, however, for me. Thanks, GOTD, but no thanks. Apple, like many another provider, uses Digital Rights Management technology to protect its wares, in this instance, <b><i>Fairplay, </b></i>deployed on iTunes Store media like video and ebooks. (Apple no longer deploys Fairplay on purchased audio.) Fairplay, says Apple, is a form of copy protection intended to ensure that 'fair usage' isn't breached by illegal file sharers. Although not yet tested by UK courts -- US courts may be different -- 'fair usage' would seem to extend to a </b>purchaser</b> the right to make a back-up copy of the commercial video which she / he has <b>purchased</b> for her / his own use. DRM Fairplay removal / conversion of Apple's M4V proprietary format has been the subject of many an article on the 'Net in the past 10 years or so, including this report from How To Geek: <b>https://www.howtogeek.com/291612/how-to-remove-drm-from-itunes-movies-and-tv-shows/</b> and nowadays there are at least two developers, other than today's, who specialise in this particular activity: <b>http://www.noteburner.com/m4v-converter-plus-for-windows.html</b> <b>http://www.tuneskit.com</b> hence why I don't entirely understand the reference in today's giveaway text to TuneFab's product being "the first recommended solution". Like today's developer, both the above make mention of the fact that their software can effectively transform a time-limited iTunes Store rental into a permanently owned acquisition. I've no time for Apple, not least because its locked OS, clunky iTunes, and DRM-protected M4V has long been an obstacle course I can easily live without especially when there are so many, many alternatives to buying or renting anything at all from the iTunes Store. I also think Apple is more than capable of taking action to defend itself against everything from petty fraud to large scale piracy. On which basis then, it seems to me that the poster at comment #1 would seem perfectly entitled to go ahead and breach every tenet of the 'fair usage' principle by utilising this software in the manner that comment so enthusiastically describes. Not, however, for me. Thanks, GOTD, but no thanks. You do not have to spend your money with iTunes. The internet, TV and radio offer lots of free stuff. But thiis giveaway from China allows you to have your cake and eat it. I have iTunes version 12.7.0.166 installed. I bought a documentary and it's downloaded on my hard disk. TuneFab "see's" the M4v video in my iTunes and offers to have it converted. When i click on "convert" it seems to start the conversion process because it shows 0% with a little rotating thingy just above it. But nothing further happens. I've tried resetting my computer and rerunning the program countless times, it just stands at 0% even after half an hour and nothing happens. I have Windows 10, latest version installed. This program seems non-functional. I have iTunes version 12.7.0.166 installed. I bought a documentary and it's downloaded on my hard disk. TuneFab "see's" the M4v video in my iTunes and offers to have it converted. When i click on "convert" it seems to start the conversion process because it shows 0% with a little rotating thingy just above it. But nothing further happens. I've tried resetting my computer and rerunning the program countless times, it just stands at 0% even after half an hour and nothing happens. I have Windows 10, latest version installed. What gives?